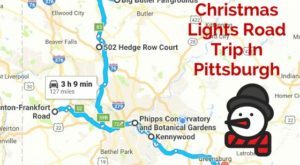 Santa Claus is coming to town…and even if you don’t believe in Santa, you can still celebrate the pure magic of the Christmas season as Pittsburgh and its suburbs transform into a twinkling sea of Christmas lights and decorations. Embrace the excitement and beauty of the season with a visit to these Christmas light displays around Pittsburgh. The Christmas season officially kicks off in Pittsburgh on Friday, November 18, when the city reveals its Christmas displays at the annual Light Up Night. 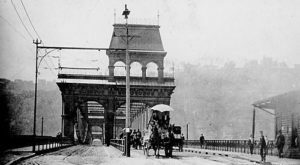 Pittsburghers traditionally pour into the downtown area for Light Up Night to watch the lighting of the Christmas tree and the Rachel Carson Bridge. 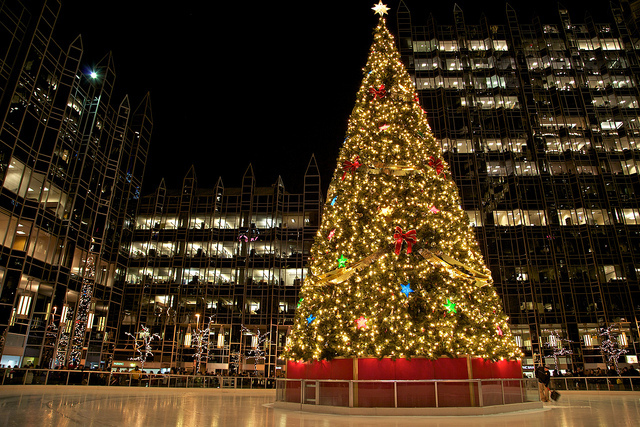 The evening's festivities also include live entertainment, ice skating at PPG Place, Santa's arrival, free horse drawn carriage rides, and a visit from Santa's reindeer. The night caps off with a spectacular fireworks show. If you can't make it to Light Up Night, enjoy the Christmas light displays at the Peoples Gas Holiday Market and around downtown Pittsburgh throughout the holiday season. 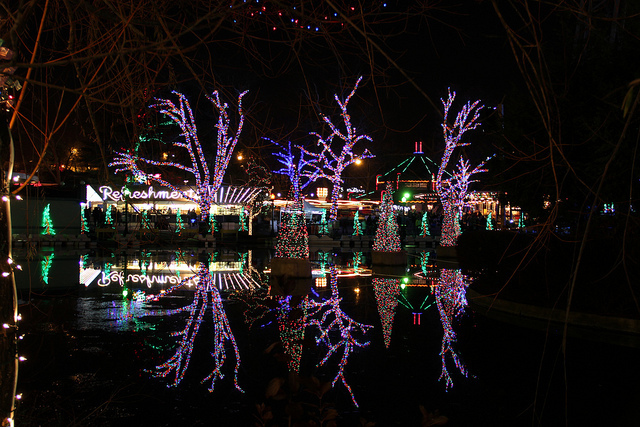 Kennywood transforms into a Winter Wonderland for the annual Holiday Lights. More than two million lights will illuminate the amusement park. But, that's just the beginning. Holiday Lights Visitors can meet and get their picture taken with Santa, climb aboard select open rides, watch live entertainment by local choirs, and listen to a celebrity reading of The Night Before Christmas at Kennywood Stage each evening at 7:30 p.m. Holiday Lights also features an authentic Gingerbread Village and a spectacular light show over the lagoon every half an hour. Plan to visit Kennywood's Holiday Lights Friday, Saturday, and Sunday evenings, from 5 p.m. to 9 p.m., from November 25 to December 23. Embrace an old-fashioned Christmas celebration at Overly's Country Christmas. Start your evening adventure with a leisurely drive through the lighted wonderland before visiting the old-fashioned Christmas Village. 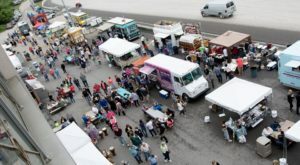 Bundle up because you'll find plenty at the Christmas Village, including food vendors, horse drawn carriage and wagon rides, children's rides, entertainment, and live animals. Be sure to stop by the quaint Christmas shop before the evening's end. Visit Overly's Country Christmas from November 18 through January 1, 2017. 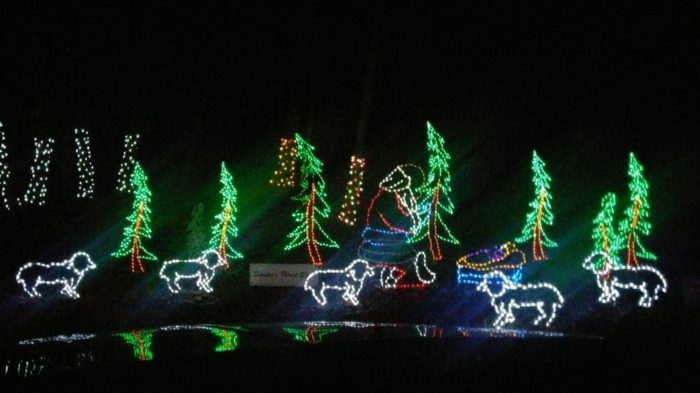 Spend an illuminating evening at Shadrack's Christmas Wonderland. 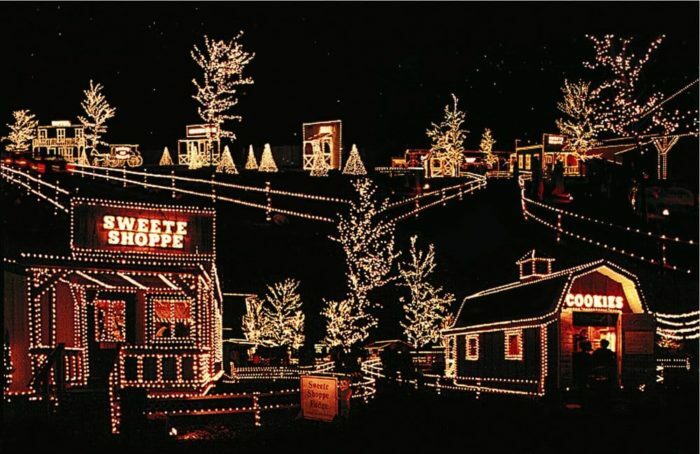 Drive slowly through the holiday light display that will feature such quirky scenes as Santa enjoying a much-needed vacation in the Allegheny Mountains. Your visit to the Christmas Wonderland culminates with a face-to-face with the man of the hour: Santa himself, who will be available for photos with kids, both young and old. Shadrack's Christmas Wonderland is slated for November 18 through January 8, 2017. Head to nearby Clinton for a spectacular ode to the holidays with the Christmas Light Up Celebration. 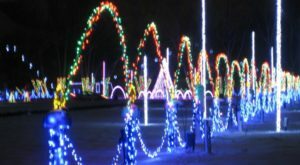 Visitors can drive their cars through the one mile lighted wonderland or might instead want to climb aboard a cozy wagon for a hayride along the mile long path. The Christmas Light Up Celebration welcomes visits from November 17 through January 1, 2017. 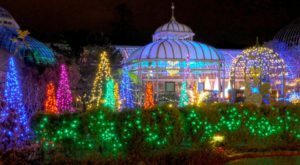 Even the name of the annual winter celebration at Phipps Conservatory and Botanical Gardens emits Christmas magic. The Winter Flower Show and Light Garden: Days of Snow and Lights Aglow welcomes visitors to stroll through the indoor and outdoor gardens where they'll be treated to such breathtaking displays as topiary penguins and reindeer bathed in LED lights, decked out Christmas trees, and an old-fashioned garden railroad. Kids may also want to meet and have their picture taken with Santa on weekends starting November 25. 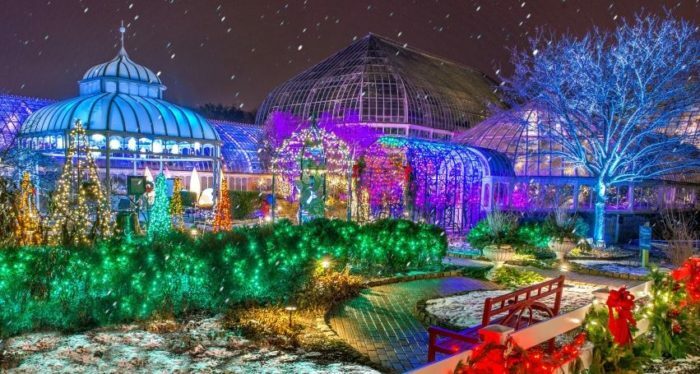 Phipps Conservatory's winter celebration kicks off on November 25. During the Days of Snow and Lights Aglow, the outdoor lighted garden will be open in the evenings from 5 p.m. to 11 p.m. weather-permitting. 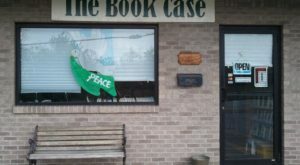 Step back in time when you visit Indiana during the Christmas season. 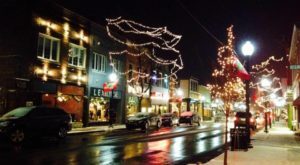 The enchanting small town, home to beloved actor James Stewart, transforms into the real life Bedford Falls with light displays, downtown buildings awash in twinkling lights, and decorated Christmas trees. The It's A Wonderful Life Festival expands to six weekends this holiday season, kicking off on Friday, November 18, at 6 p.m. with a parade, an open house at the Jimmy Stewart Museum, and the official Christmas tree lighting. Santa and his reindeer will visit Indiana on opening weekend. 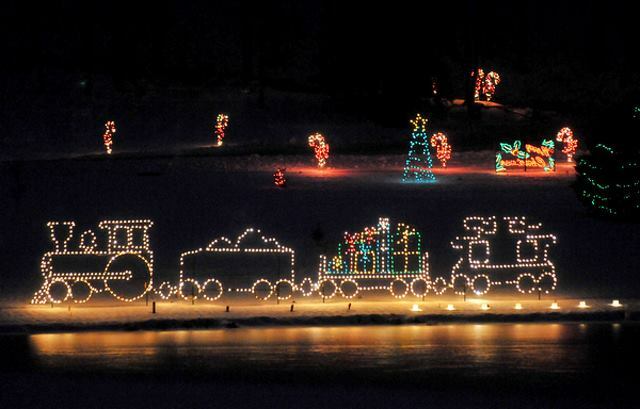 How many of these Christmas light displays around Pittsburgh have you visited? 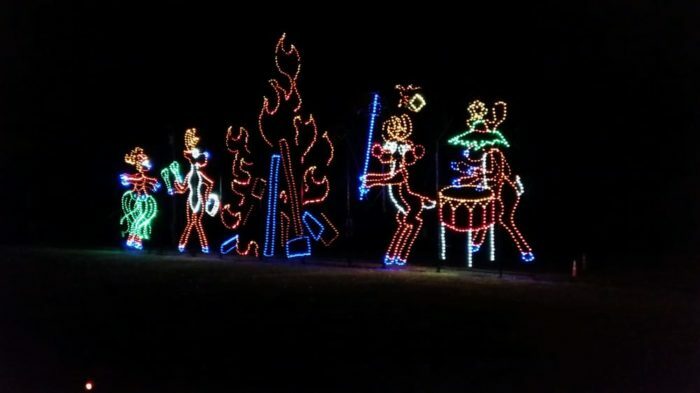 If you’re up for roaming a little further from home, here are several more Christmas lights displays around Pennsylvania you might want to add to your Christmas to do list.